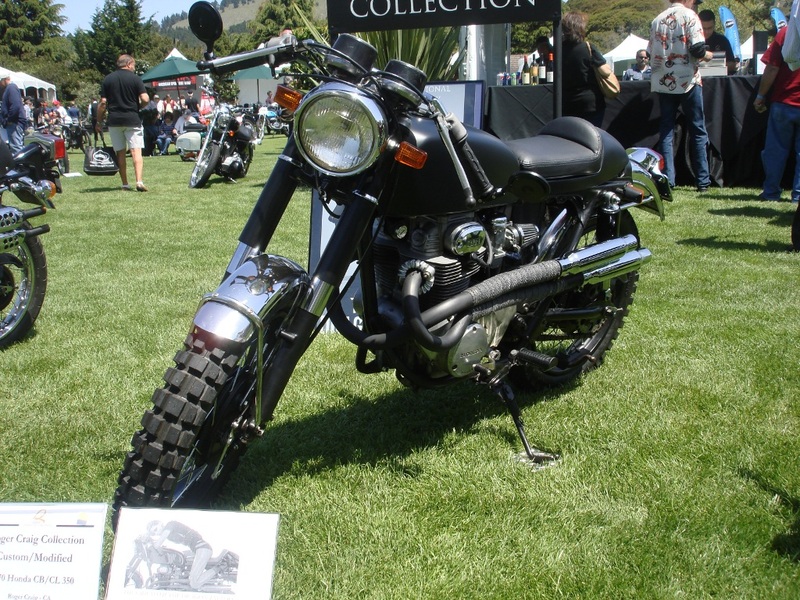 This weekend Roberta and I got up at 4:30 in the morning to volunteer at the Quail Lodge Motorcycle Gathering in Carmel Valley. It’s an annual event where a lot of the “wealthy” bring their toys to show off. There were 1 of 54 made Harley Davidsons, 1910’s and 1920’s in abundance. It was a good morning. We had sunshine and cool weather warming up into the 70’s by noon. This was a 1942 Harley Davidson kitted out for service in WWII. 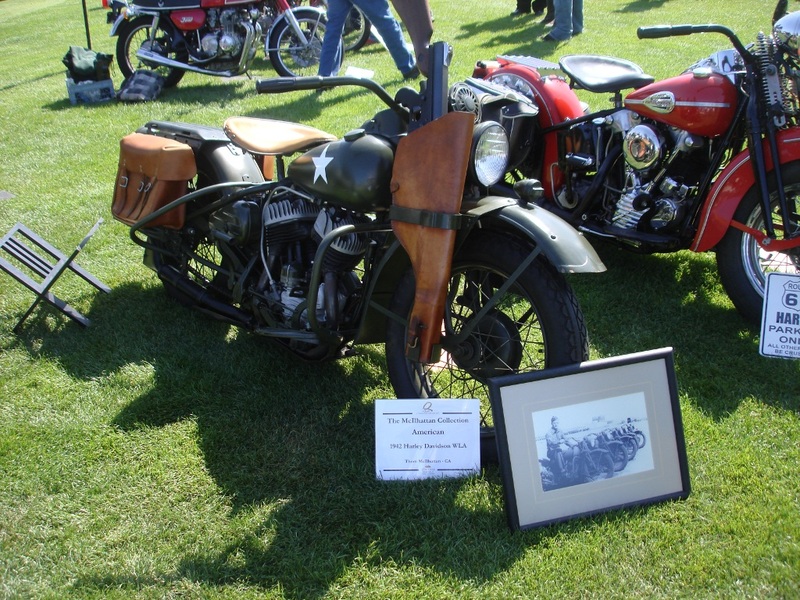 The picture is of the owners father riding a similar bike during the war. 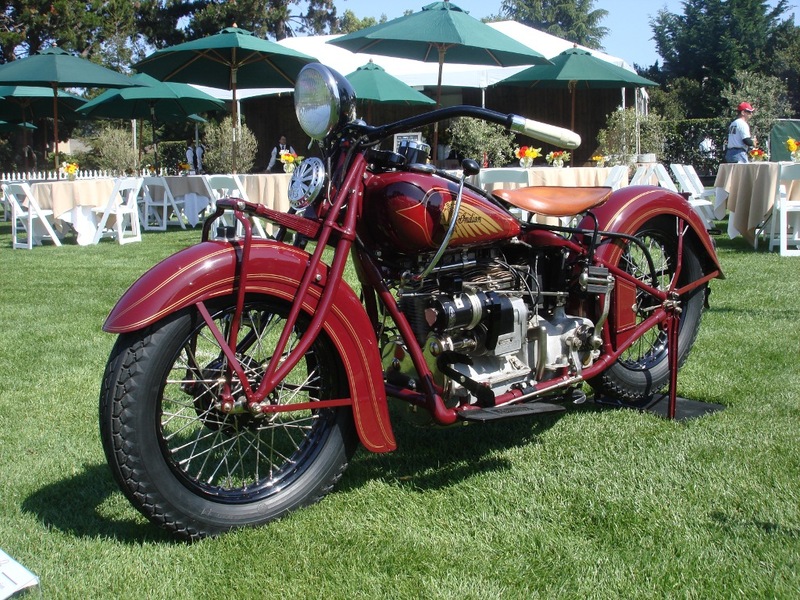 Here’s a beautiful old Indian motorcycle. Indians were the theme this year. There is a group called BUB Spead Trials that will let you see how fast you can take your motorcycle on the Bonneville Salt flats. 5 mile spin up, 1 mile trap, 5 mile spin down. Oh how fun that’s going to be! Anyhow, I saw a gentleman with a Bub shirt on so Roberta and I walked up and I said, “Hey! Are you associated with Bub? Or just went there at some point?”. His response with a funny look. “Uhm, I am Bub.” (-; That’s him in the light blue shirt and straw type hat. FYI. 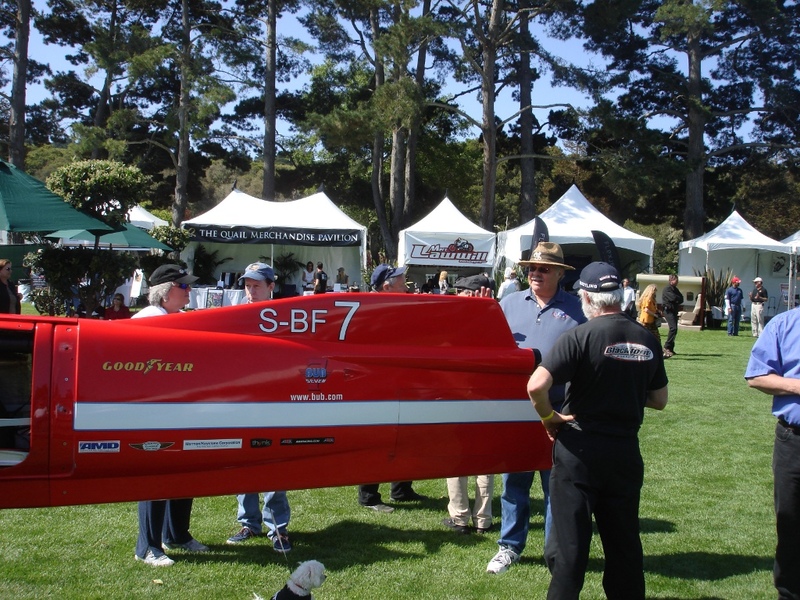 TheS-BF 7, if I overheard correctly, hit 367 MPH last year. 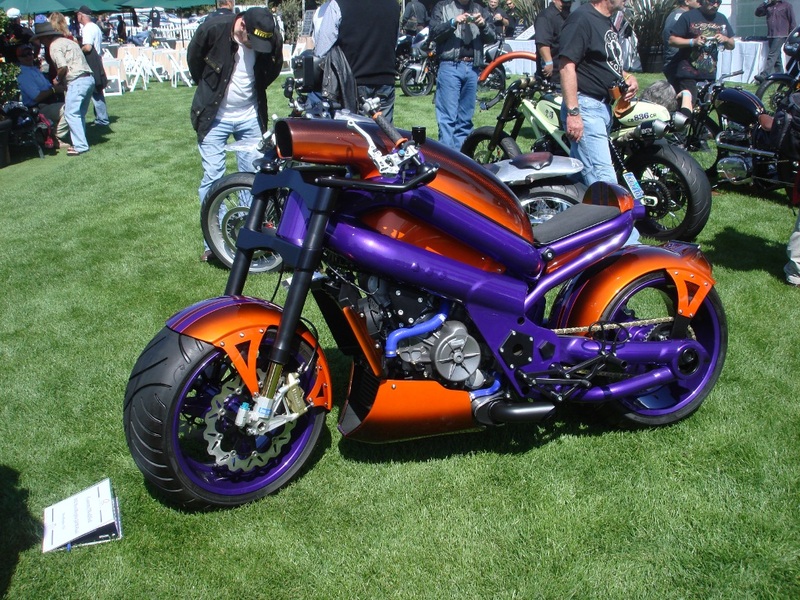 This is a strange bike, it’s made by a company called MotoMorph. I guess there are only 3 of these currently in existance. We had a pretty good time. I think next year I might want to actually do the event ride and participate, not that volunteering wasn’t fun. 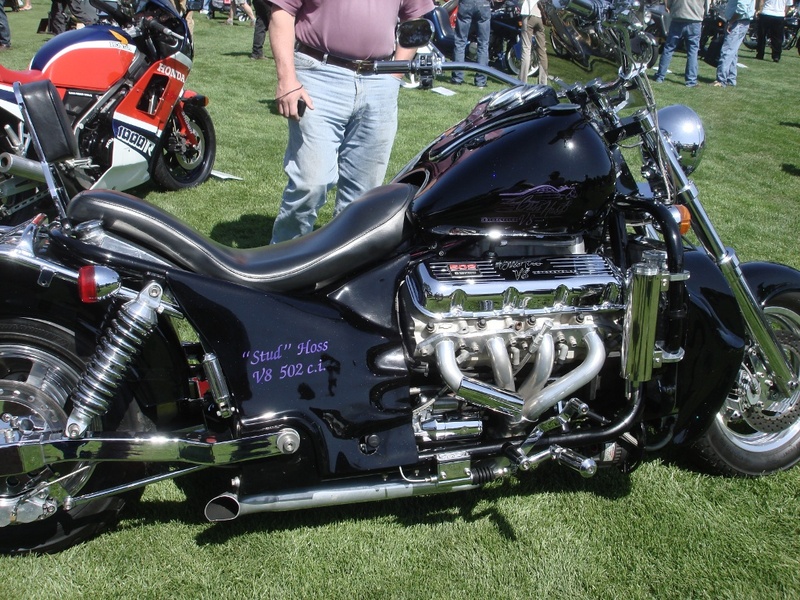 But, it would be fun to ride with some of these bikes. I keep checking to see if you have posted anything recently. As you haven’t I have been worried that things are not well. I hope everything is okay and you have just been too busy to post.